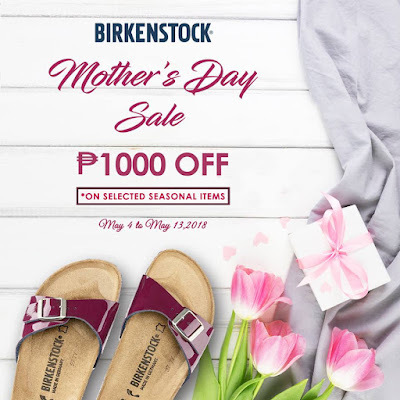 If your mom loves a pair of comfy and well-designed shoes, then the right choice is a pair of Birkenstock! Check out Birkenstock's Mother's Day SALE happening until May 13, 2018! Get up to P1,000 off on selected Birks footwear on seasonal items on participating stores below.